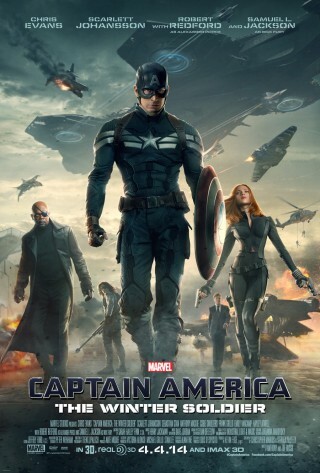 I just got back from watching Captain America: The Winter Soldier. And it is good. So good. But it also leaves me with a few questions. Just a couple. Before we get into that, though, let’s talk plot. Steve Rogers (a.k.a. Captain America) is still trying to adjust to life after being a “Cap-sicle” for seventy years. He’s even got a notebook so he can jot down the stuff that he has to experience. He’s still working for S.H.I.E.L.D. because he really doesn’t have anywhere else to go. On one of these missions, though, Cap and the Black Widow uncover something kind of hinky, something that not even Nick Fury is aware of. Something unusual is happening in S.H.I.E.L.D. and it’s probably not good. Scratch that. It’s definitely not good. Forces are aligning against Cap and his friends, and that malevolent force is personified by a mysterious figure named the Winter Soldier, a cybernetic assassin with ties to Captain America’s past. The world is about to change. Only Captain America can make sure that it changes for the better. So yeah, I loved this movie. I think it may become my second favorite Marvel film to date (It can’t unseat Avengers, but it may have taken the place of the original Iron Man). The action was great. The inclusion of a new hero (Hi, there, Falcon!) was great too. But what really sold me on this movie was the overall message, the tension we live in between freedom and fear. I don’t want to drop any spoilers (yet; you’ll know when it happens), but this movie is very much a reaction to the current climate of fear that we live in, a fear that’s been used to gradually erode our freedoms. We catch glimpses of this in the previews, but it’s writ large over the entire film. And it resonates with our current culture so much so. Ever since 9/11, we as a nation have been captives, in some degree, to fear, and we’ve let powerful people use that fear against us, leading to such things as the NSA wiretapping scandal and who knows what else. It’s the timeliness of the movie’s message that really works well. But because it is “just a superhero movie,” they can sneak that cultural criticism into the plot by splashing on a veneer of cartoonish action sequences. Still, it left me with a lot to think about. And a few regrets too. After watching this movie, I suddenly realized how I could have made Failstate: Legends a much better book. Ah, well, an opportunity lost. Speaking of opportunities lost, for the love of Groot, people, STAY UNTIL THE CREDITS ARE FINISHED! I don’t get this. Yes, most of the audience stayed for the first extra scene, but then they all left. You’d think they would have learned by now. 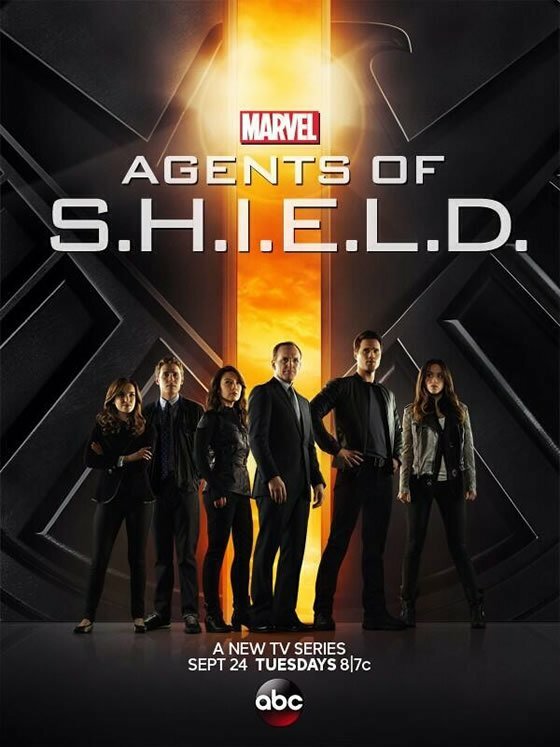 Personally, I stayed until the end, but part of that is because my mind was whirling with a lot of questions related to a connected Marvel franchise, The Agents of S.H.I.E.L.D. Before I start sharing my questions, though, I have to resurrect an old friend. Ah, my old friend. So glad you could be with us again. 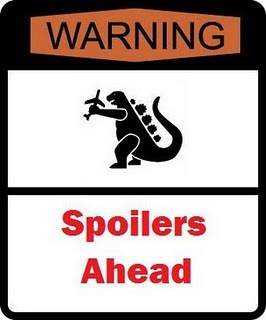 You are all fairly warned. The Winter Soldier had a major impact on the Marvel Cinematic Universe, one that will have far-reaching implications in future movies. But the primary fallout will be with Agent Coulson and his team. I know I put up the warning, but I still don’t want to get too specific. Suffice it to say, I left the theater this afternoon scratching my head, wondering how they could possibly continue Agents of S.H.I.E.L.D. after all of this. It seems impossible given everything that happened. And yet I’m a little hopeful. While AoS (a handy acronym so I can stop typing all of those periods) didn’t have a rocking, stellar start, it has been getting better in the last few episodes as Coulson learns how he survived New York and the team has gone on the hunt for the Clairvoyant. What I’m hoping for now is a revelation that the Clairvoyant and the bad guys from The Winter Soldier are one and the same. I don’t know how they’d do that without revealing the plot of the movie, but it would be cool to see happen. Actually, what I really hope will happen is that they’ll use the rest of this season to kind of tell another side of The Winter Soldier. You know, spend an episode or two with Coulson’s team trying to cope with the chaos in the movie, and then show them picking up the pieces. Marvel has a great opportunity here to create a sort of overarching meta story. I’m just hoping that they take full advantage of this opportunity.